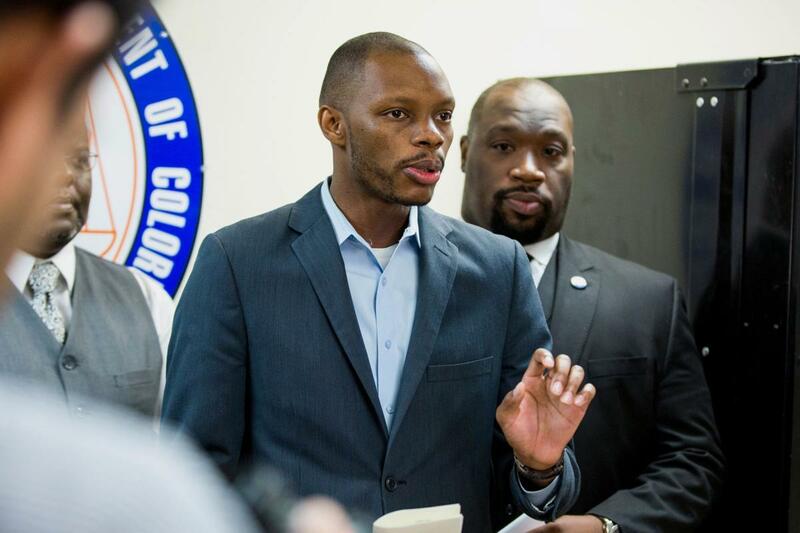 In this June 5, 2017, file photo, Arizona state Democratic Rep. Reginald Bolding, left, calls on Gov. Doug Ducey to remove six confederate monuments in Arizona during a news conference by the NAACP and Black Lives Matter in Phoenix, Ariz.
Rep. Maria Syms wrote in a column published in the Arizona Republic that the two best-known leaders of the #RedforEd movement are "political operatives" who are radicalizing Arizona youth. She called Noah Karvelis' classroom "exotic" and said he prides himself on teaching students music from the hip hop artist Kendrick Lamar. Syms included a lyric from the Pulitzer Prize-winning artist that included a derogatory term for African-Americans. "This article attempts to discredit this teacher because he may have introduced lyrics in the classroom written by a black entertainer," Bolding said. "This article attempts to discredit this teacher because he 'takes inspiration' from a black civil rights activist. This article attempts to discredit this teacher because he 'admires' a professor that taught at a historically black college for women. "The more I read the more I was disappointed that it appears to be OK to use a racial slur about black people in the article," Bolding continued. "Let me be crystal clear: It's not acceptable to us a racial slur even if that slur is used as a quote." "I don't know why it's so hard to follow the rules," Mesnard said. "It doesn't matter whether you are white or black or brown on whatever the color the color of your skin is, you follow the House rules." "I think the one thing that we can agree on is that these terms are terribly offensive," Syms said. 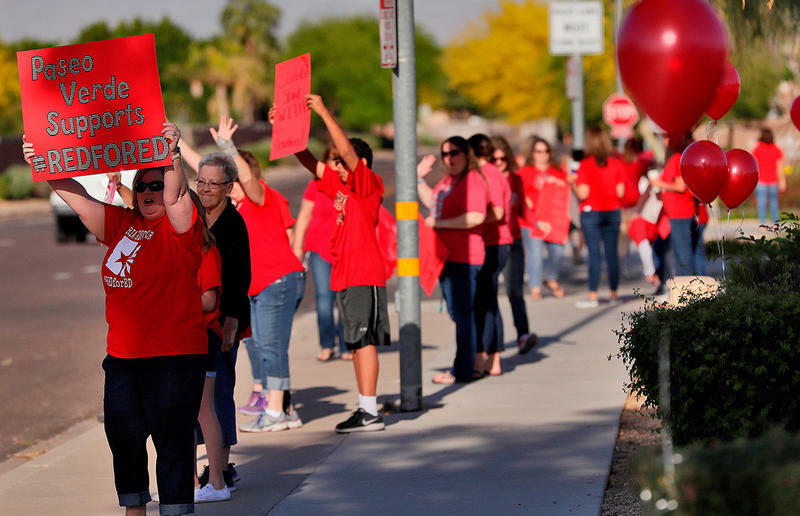 "If anyone would read the article they would know that those words were used in the article to expose the offensive nature of language used by the leader of #RedforEd in the classroom. Every person in the state of Arizona should be offended by these racially offensive words that are being used in our classrooms right now." Karvelis said it was "ridiculous" that his hip-hop lesson plans were being brought up and that he never used the racial slur in class. "It's just a distraction," he added. 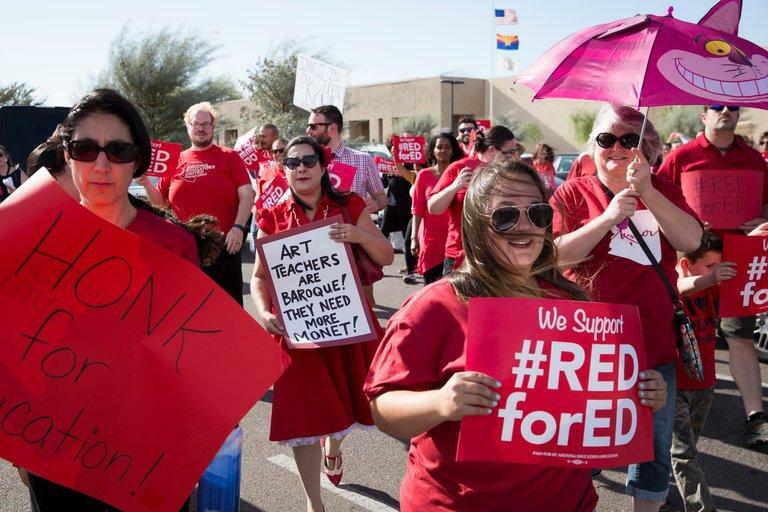 Tens of thousands of Arizona teachers who have organized under the grass-roots Arizona Educators United group that Karvelis helped organize are set to strike starting Thursday.  They're seeking a 20 percent teacher pay raise, competitive pay for support staff, annual salary increases, school funding boosts to 2008 levels and no new tax cuts until per-pupil funding reaches the national average. Gov. 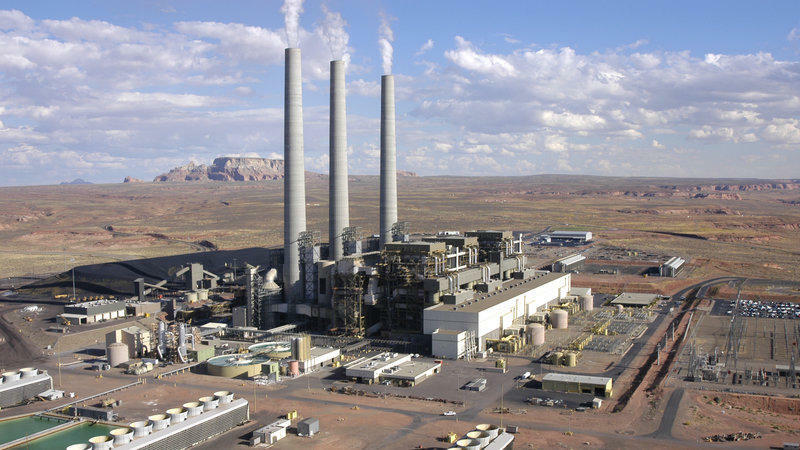 Doug Ducey is offering a 20 percent pay raise but has mainly ignored the other demands. 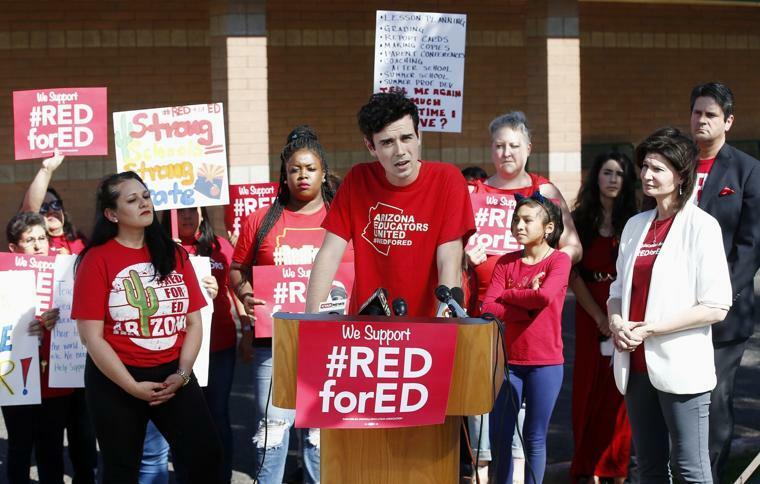 Republican leaders of the Arizona House and Senate say they won't bend to teacher demands for more than raises.